Ito is like the purest, most authentic Japanese looking dude you'll find in J-showbiz. Everything about him oozes his locality; that kind of uniquity left me a deep, unforgettable impression since the day I first saw him. His work on Yasha has turned me into a loyal fan of his, as his great acting and diversity there was a startling contrast to his role in Umizaru. Everytime I see him in a drama, he always plays a character who is the polar opposite from the character in the drama I saw him last. Very versatile and can be surprisingly hilarious as he was in Bengoshi no Kuzu...who says handsome people aren't funny? Amazing actor!! His acting is really impressive and touching, really love it. I saw only Yasha and Umirazu, but I felt like I was in love with his characters in those dramas. I want to see all of his films. Incredible!! tall and handsome. started off as supporting actor, and with good acting and exceptionally good look he climbed up and become the lead actor. He shines in dramas and movies. Very good Actor, especially portray as Hiromasa in Onmyoji 1&2. Also very good looking and Hot. I liked his foolish portray of Senzaki Daisuke in the Umizaru trilogy. 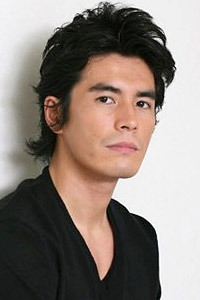 I saw him in the movie, "Princess Blade," I thought he was a great performance and I had no idea he was in Jdorama. So he's got my vote. Not only he is hot and has charisma, but he is very talented ! He is definitely one of the best japanese actors. Beside his good looks, he can act very well..I hope to see him more as the lead actor in the near future. Very2 cool... like his performance in Umizaru Revolution.. touching and really gr8 actor.. Loves him Yasha.. Arisue Sei & Amamiya Rin!! Like him when he act in Lost in Love but falling for him after Umizaru!!!!!!! World class talent. So very, very handsome and charming. Love him Yasha ! He looks a bit like Jay Chou in Yasha but he is definitely better looking! great actor with great charisma. looks to have a great future! !rock ON!! fell for him after Umzaru and Tentai Kanzoku. SOOO CUTE!!! I just LOVE him as Sei & Rin in Yasha!!! Saw him in Tentai Kanzoku. Great actor, really handsome! OMG! This Man is amazing! His acting is awesome. I really love his double role in YASHA. Great actor with lots of potential!